A Dollop of That! 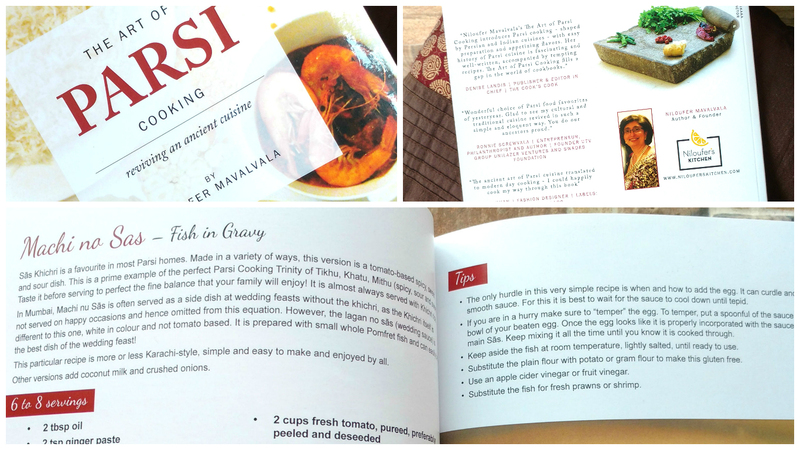 : Parsi Sas Ni Kolmi (Prawns in a tangy sauce) and a Book Review! Parsi Sas Ni Kolmi (Prawns in a tangy sauce) and a Book Review! It was a Sunday in the month of January, hot and humid with a little breeze, I walked around the baug (wedding venue for Parsi ceremonies) admiring the florists' handymen diligently at work for the evenings function, my mother sat under the enclosed veranda fans fanning herself and my fiance didn't know why he was required by me to be present. We were gathered together that day to meet our wedding caterer and finalise our wedding dinner menu. After much self fanning from mum, grumbling from the F and admiration (of the florist's peeps) from me in walked the lady of the moment. "Besso besso" she said "kai peeso?" (have a seat would you like something to drink?) No nothing, all three of us nodded our refusal in tandem. "Okay then lets get on with business" she said and like a thorough professional, rattling of vani's (courses) and gave us options, combinations and suggestions. All progressed well until that very moment when she asked me "So which fish would you like Parinaaz?" This question is usually answered by Sas ni Machchi or Patra ni Machchi. (I'll get back to this in a bit) However since the wedding was in mid April (a.k.a under the blazing throes of an Indian summer) I thought for a bit (that the fish could go stale given the heat) and told her, "Lets skip the fish na..." to which the mother, the caterer and the fiance all glared at me like Jim Carrey's character in the Mask whenever he saw his lady love pass by. (Remember his eyes popping two feet from the sockets!) Fish and alcohol are two foundation stones and without them no Parsi function can be declared successful. Now no lover of Parsi cuisine is unknown to the tantalizing lure of the Patra ni Machchi - it being one of the torchbearers of our tribe. However not many know that Sas (its typical Parsi pronunciation rhymes with nurse, not boss or lass) ni Machchi (fish cooked in a tangy sauce usually made sans any powdered spices and using very few ingredients per se) is also served at Parsi celebrations and for anyone to pick this or that is a really tough decision to make. Just yesterday I asked my husband which one he would choose and he said "I'll drop the chicken dish and choose both the fishes" (hes not the only guy to tell me that!) - yes its that tough a choice. No prizes for guessing today's recipe then. Its Sas ni Machchi Kolmi - coz I used prawns, but the recipe comes not from me or my family but from an absolutely delightful book called the Art of Parsi Cooking - reviving an ancient cuisine by Niloufer Mavalvala. The book starts with a lovely dedication to her father and family which only a loving daughter can pen. Followed by two insightful pages on who the Parsis are, what they cook and why they cook it- brilliant read. Next as with any book are the contents neatly grouped under Pehli, Bejji and Teeji Vaani meaning Courses (First - Appetizer, Second - Side Dish and Third - Main ) in addition to these are recipes for dishes that can be had with chapattis (flat breads) some desserts and my favourite of the lot Parsi Tea Time Snacks! As I browsed through the recipes, each took me on a nostalgic ride, some that we regularly made in our granny's kitchen, some only made by the Agiary (Parsi Fire Temples) kitchens for religious ceremonies, some that we had only heard of on occasion but had vanished with the sands of time. 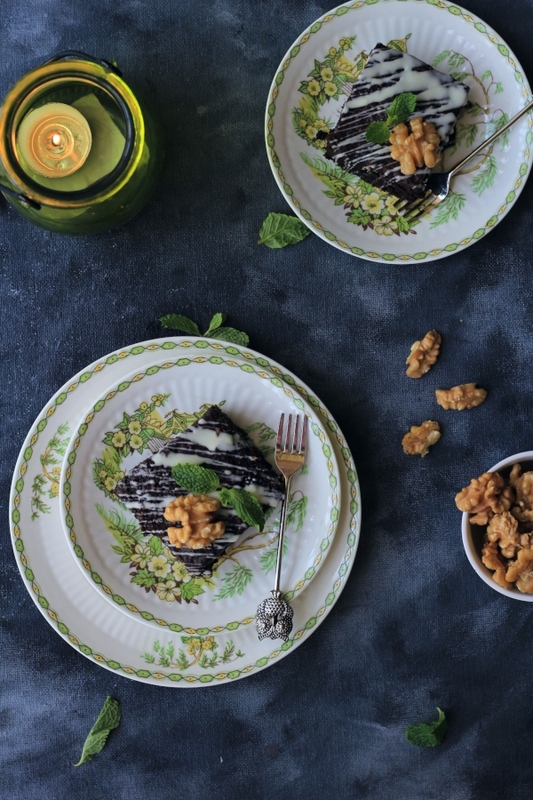 Mavalvala introduces each recipe with a little description either of a memory attached to it or of the history behind how the recipe came to be. This book was sent to me for reviewing by Mavalvala's sweet publishers all the way from the U.K. arriving at my Pune home exactly forty days after they posted it. All I can say is, it was well worth the wait. I highly recommend it to anyone one has the slightest interest in food, Parsis, history or all three. Mavalvala's recipes constantly delight and never disappoint. A handful of fresh coriander leaves, finely chopped. In a pan heat the oil and add the ginger and garlic pastes, along with the clilli powder, cumin powder, flour and salt, mix the ingredients to make a paste cooking thoroughly. Add and mix until smooth the fresh tomato puree along with water, bring the gravy to a boil and cook on a low fire until thick, Add in the green chillies. Once thick, allow the gravy to cool. In a separate bowl whisk together the eggs, sugar and vinegar. Add the egg mixture to the gravy, stirring it constantly on a low heat and bring to a boil. Now add in the fish and freshly chopped fresh coriander. Cover and cook for 5 - 7 minutes. Serve with Khichri rice and a simple salad of radish and cucumber. Papads (Poppadoms) are also generally an accompaniment to this dish, as is the Gajar mewa nu achar - carrot & dry fruit pickle. - The only hurdle in this very simple recipe is when and how to add the egg. It can curdle and ruin the texture of this smooth sauce. For this it is best to wait for the sauce to cool until luke warm. - Keep aside the fish at room temperature, lightly salted, until ready to use. Thank you Parinaaz Marolia for reviewing my cookbook. Wishing you great success in your endearvours. Warm regards, Niloufer.